Questrade’s move into the product side of the business hit the headlines recently. WP looks at what sets it apart from its ETF peers. First, here are the basics. 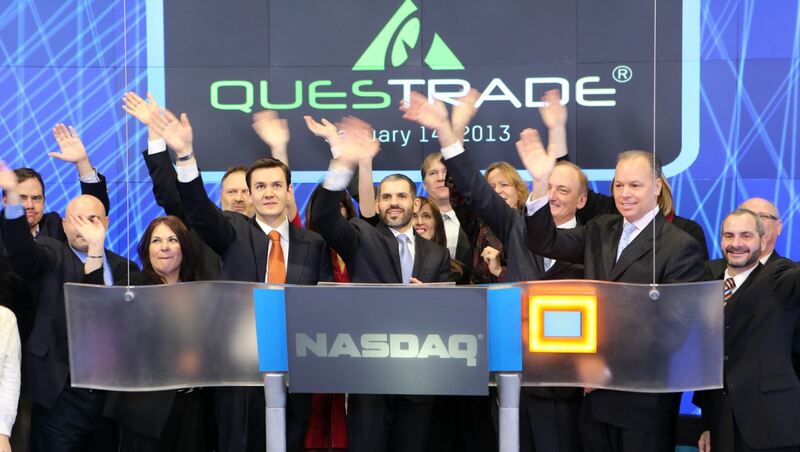 Questrade Wealth Management brings six ETFs to the table in early March with more to follow in the spring. The MERs for all six funds come in around 0.7 percent. Neither point is in any way earth shattering. What is unique is its decision to deliver six funds focused exclusively on U.S. stocks with not a lick of Canadian content. Questrade’s effectively saying it can’t or won’t compete against the XIU, XIC and all the other Canadian equity ETFs. However, earlier in February, John Youn, Questrade’s executive managing director of ETFs and global structured products suggested its move is predicated less by any fear of existing products but rather a belief that the U.S. economy is on the move and Canadian investors are going to want a piece of the action. On the surface it’s hard to argue with the company’s rationale. Getting into the ETF manufacturing game with products that are in demand — WP reported in a story about five new iShares ETFs last week that year-to-date U.S. equities have seen new flows of $660 million — definitely makes good business sense in the short term, but long-term this model makes less sense. With the exception of Purpose Investments, the other eight ETF providers in Canada all have some Canadian-focused content when it comes to equities. So, either it’s planning to introduce some Canadian content when it brings out another four ETFs planned for the spring or it’s going to go the contrarian route and forsake Canada. Either way, CEO Edward Kholodenko continues to shake up financial services in this country. Bypassing Canada for the U.S. isn’t the only interesting aspect of Questrade’s ETFs. Two other things should spark the interest of advisors looking for new products to include in client portfolios. The first is that four of the six ETFs are sector funds (not so unique) that are equal-weighted rather than cap-weighted. Equal-weight ETFs have been around for a long time mind you but when two-thirds of its newly introduced products swing this way you’re going to garner some attention. A second little tidbit is the fact all six are hedged to the Canadian dollar. There are no unhedged versions available to the best of our knowledge. By comparison, iShares have six ETFs that offer sister products. With currency volatility still very high you’d think they’d offer investors the choice. Questrade’s decision regarding currency suggests its focus on the U.S. market isn’t a passing fancy. In which case it’s definitely taking the road less traveled.